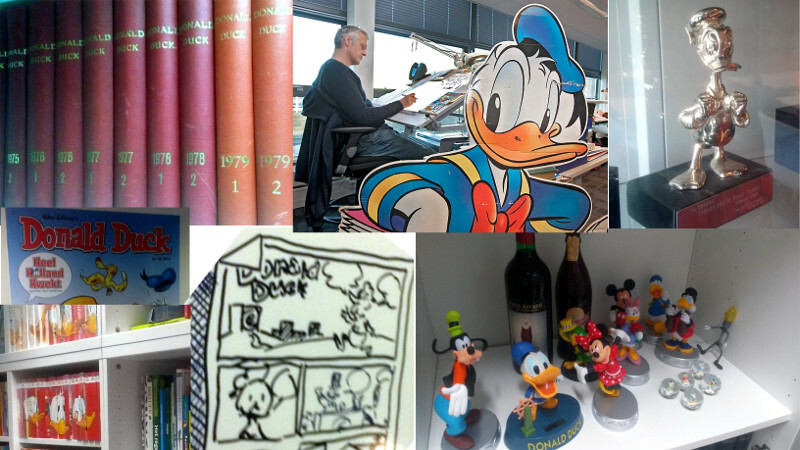 After more than a year I still feel that working at Donaldduck is special. As the brand is well known, it’s read by generations as it’s introduced in 1952! An immediate success, inspired by the post-war success seen in Scandinavia. At first stories were simply translated, later Dutch covers were introduced until finally, full stories (1954) produced in the Netherlands; still heavily influenced by original content was introduced. Considering it’s historic background, the magazine is relevant and prominent as ever, with Dutch made content made by Jos Beekman, Joan Lommen, Bas Schuddeboom, Ferdi Felderhof, Jim van der Weele, Lotte Roep and Esther Holtkamp, Wilma van den Bosch and Michel Nadorp (and many others). Editor in chief Dimitri Heikamp introduced a digital strategy, with the magazine as a backbone. For instance, Twitter saw it’s 43 characters introduced in 2010; a success with Donald duck leading with 173k followers. Larger digital projects such as a soft-type course called ducktypen.nl and a 3D educational game called duckworld.com followed suit. 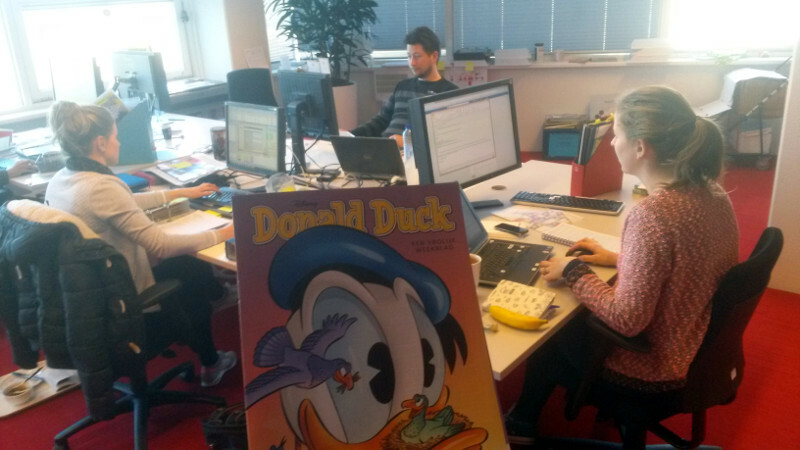 Right now we are preparing to launch the new Donaldduck.nl website. (more info soon) Whilst many think we sourced these titles from abroad, they were actually made as part of the editorial team of the DonaldDuck magazine. (With a small development team and product owners) The title allows also allows some educational cooperation with other brands, such as the van Gogh museum and ‘Nederland Schoon’ (education about throwing trash for kids). It’s fun to work close to the magazine editors. They work hard with over 500 deadlines per year! In early 2015 my face appeared in the magazine. I have also been asked to review a sketch of a story. Stoked, I spent the better part of new years reading it through. That story was published just last week and my comments were in! Just spotted the magazine in the supermarket so it went full loop. Nice to see the responses at twitter, interesting to see how the process from story to magazine takes place.